While driving over the Duck Bridge, heading south, noticed one of the peregrines looping flight around the NW corner of the Clock Tower. It landed out of sight. 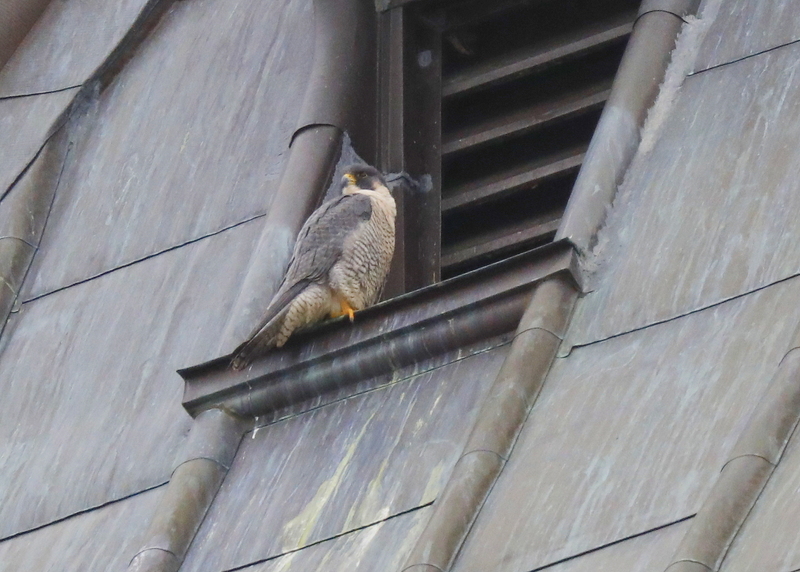 Once around to the west side of the tower, looked around for a few minutes before finding the female up very high, on a perch ledge, outside of a vented window box. The ledge is just below the weather vane.